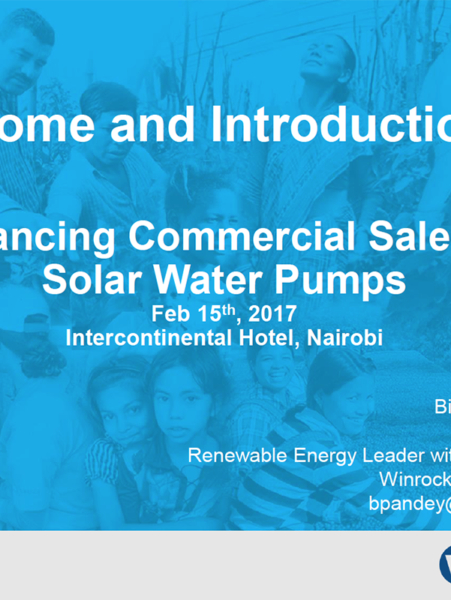 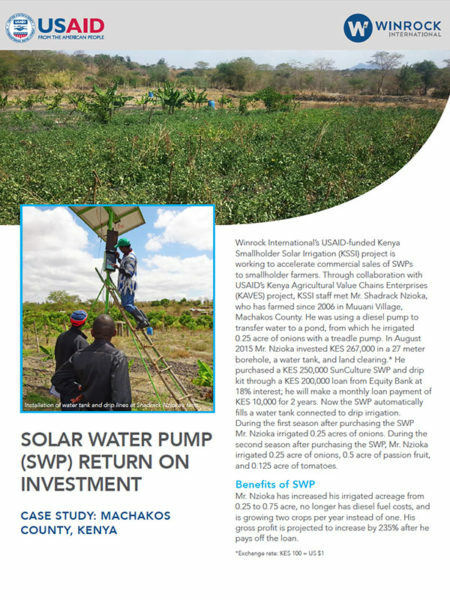 In rural Kenya, solar water pumps (SWPs) can help smallholder farmers save on fuel costs, increase acreage, and grow more than one crop a year. 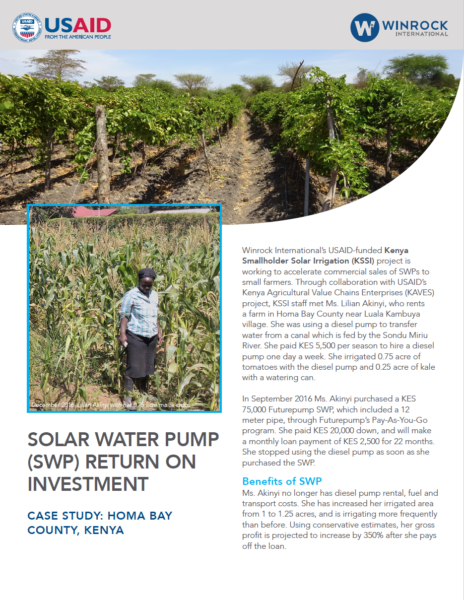 However, many farmers don’t know about these benefits or lack credit options to purchase their own SWPs. 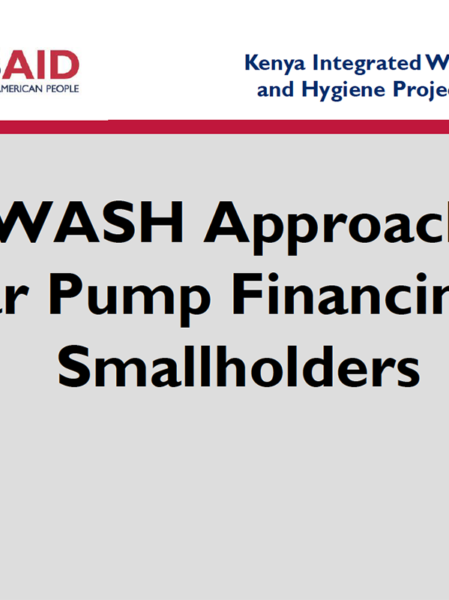 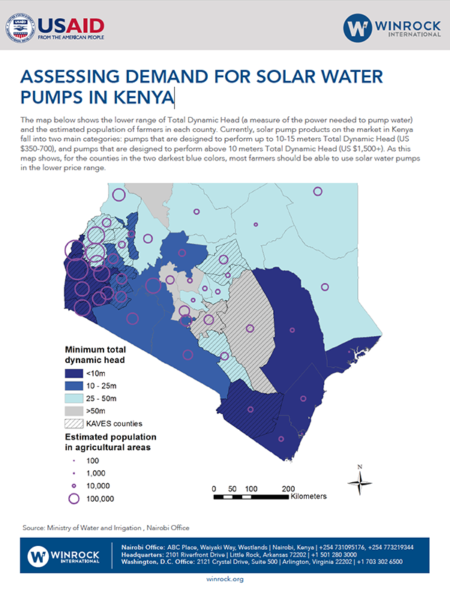 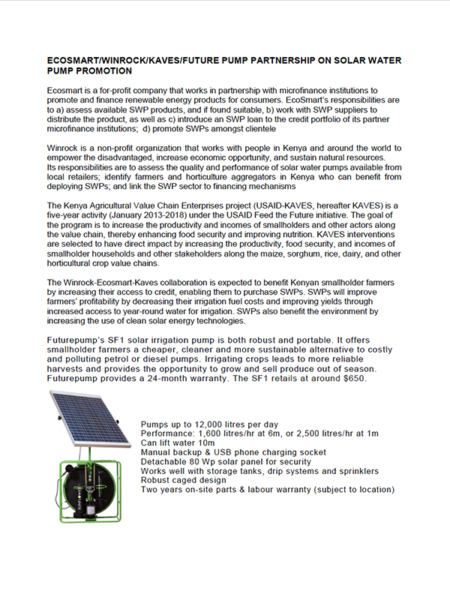 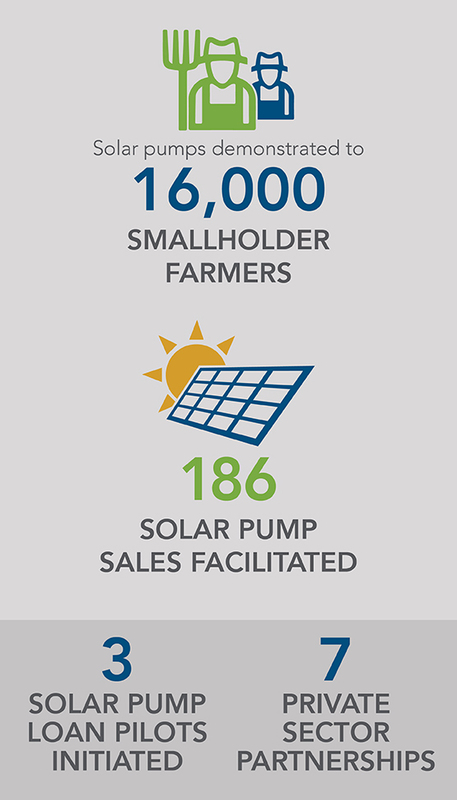 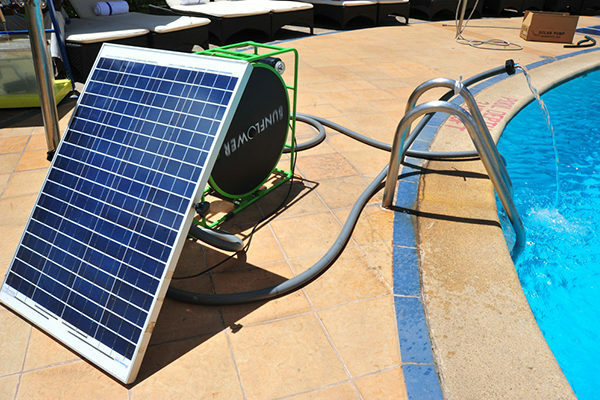 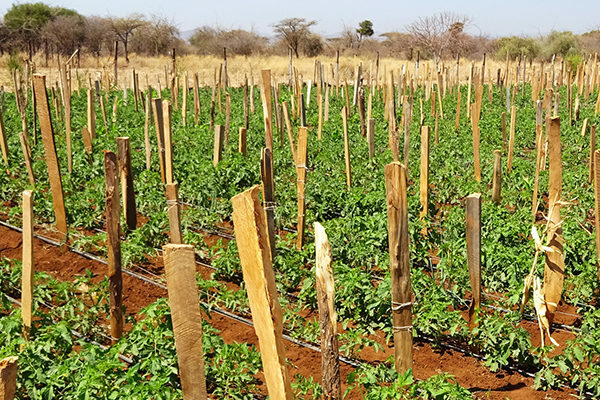 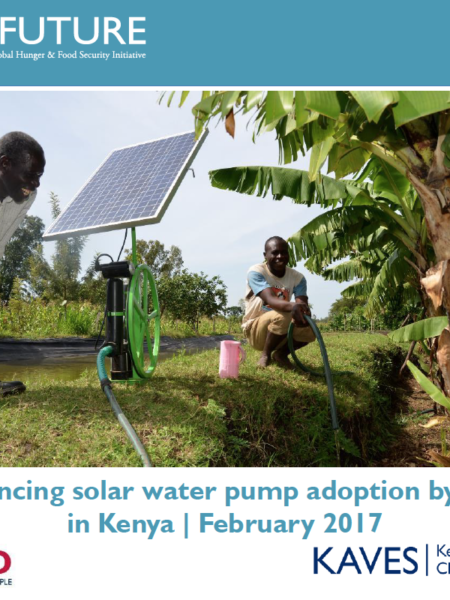 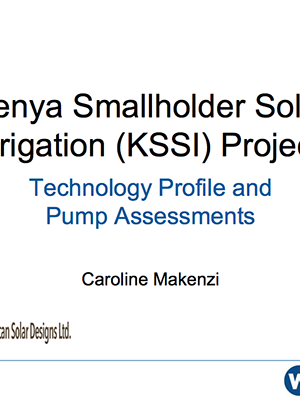 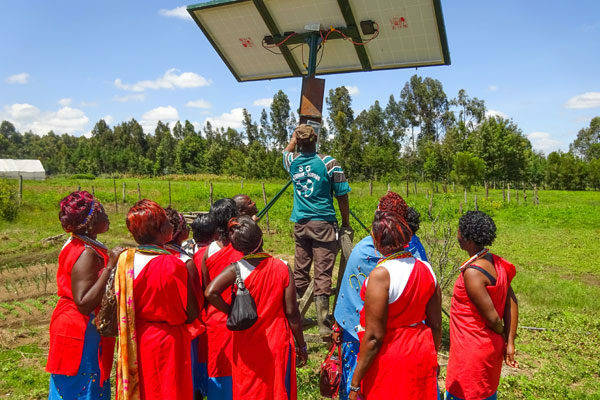 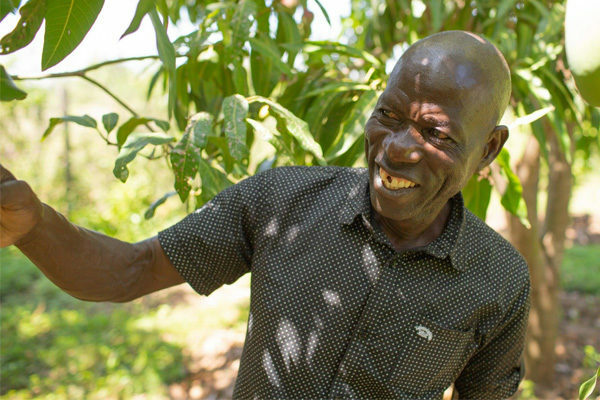 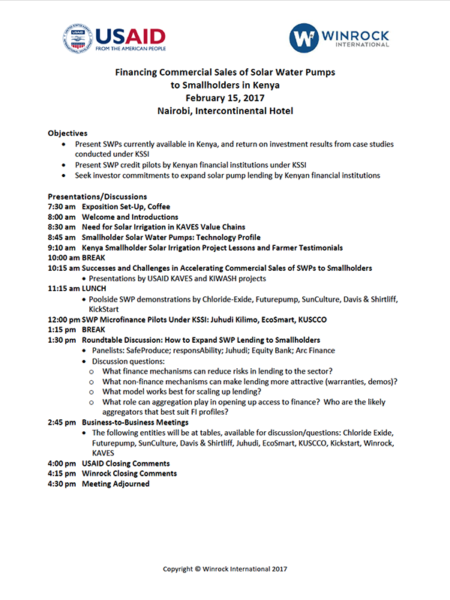 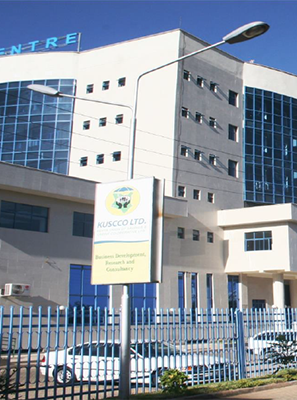 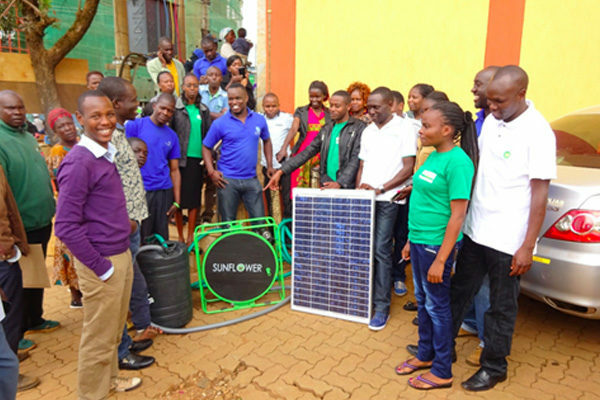 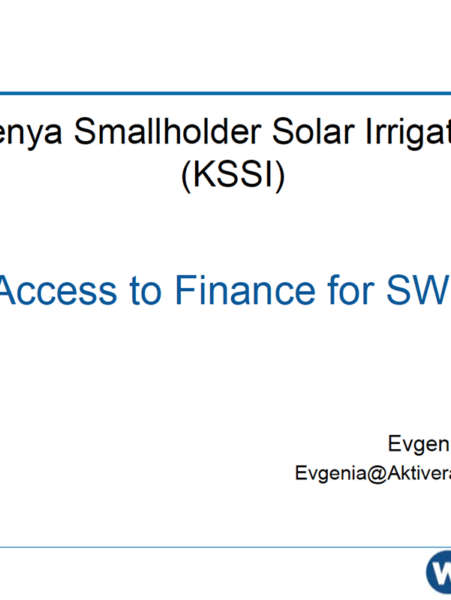 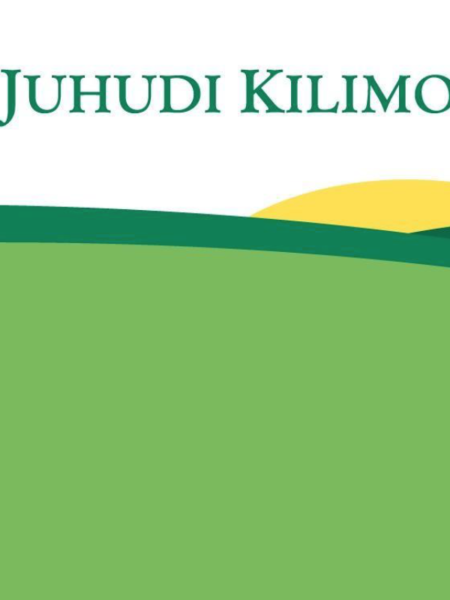 The USAID-funded Kenya Smallholder Solar Irrigation project (KSSI) works to accelerate commercial sales of SWPs to small farmers through demonstrations, product assessments, and technical assistance to SWP retailers and financial institutions.